Boys at the crease, wickets tumbling, runs made, howzat! Few summer pastimes – save another sport which necessitates jumpers for goalposts - are as much fun as cricket. In fact, anything else – except football – just isn’t cricket. 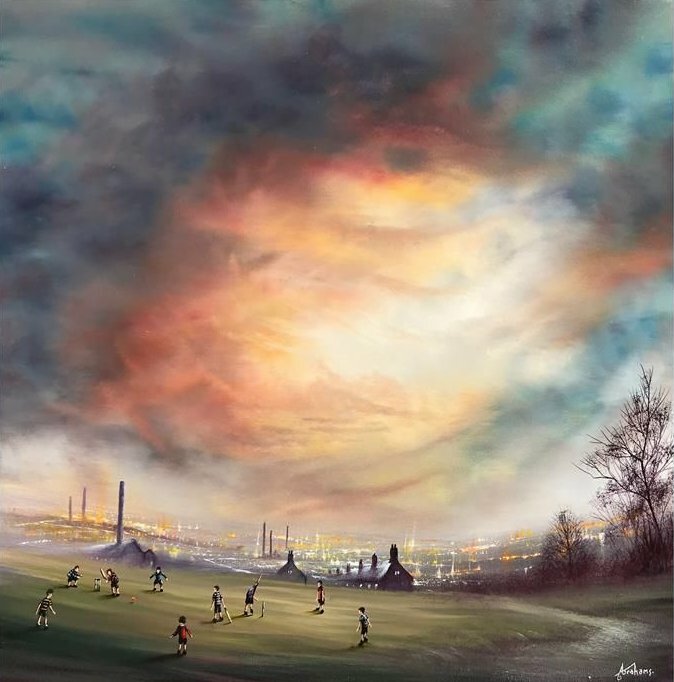 Capturing the very essence of the team sport, one of the UK’s most exciting contemporary landscape artists, Danny Abrahams’ ‘I’m Batting Next’ illustratively filters the innocence of youth this autumn 2018; and thus pictorially reminds us of those long summer days just gone. Limited to 45, hand-signed paper editions, be sure to contact us about this 18” squared piece asap.